After the indulgences of Christmas and a few days back at work I was really looking forward to getting back into the great outdoors today. Imagine my disappointment therefore upon opening the curtains this morning to find thick fog and wave upon wave of rain being driven up the valley from the west. These past few weeks have seen some of the direst weather I have yet experienced since moving to Wales and to be frank I've had enough of it. I was determined to get out so consulted the weather forecasts and spotted what looked to be a few hours of promising weather over Cardiff around midday. Realising that we had yet to visit Cosmeston Lakes this year it seemed like the perfect opportunity to put that little oversight right. We were soon on our way down the M4 and by some miracle arrived just as the sun broke through the clouds. I jumped straight out of the car and headed over to the waters edge before conditions could change back as I really wanted to connect with the lakes current celebrity; an incredibly tame Whooper Swan. 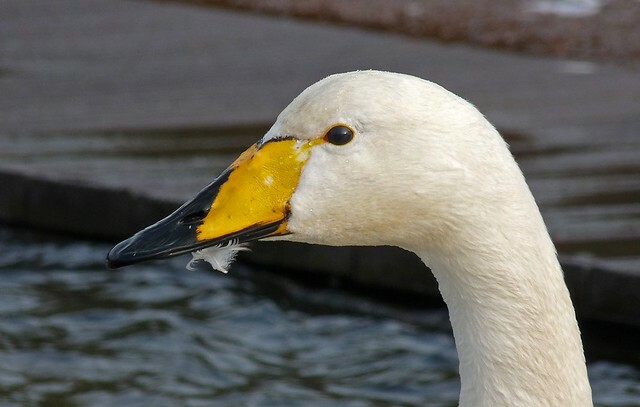 As had been reported the Whooper was associating with the resident Mute Swans and was very happy to feed on bread thrown into the water by visitors. 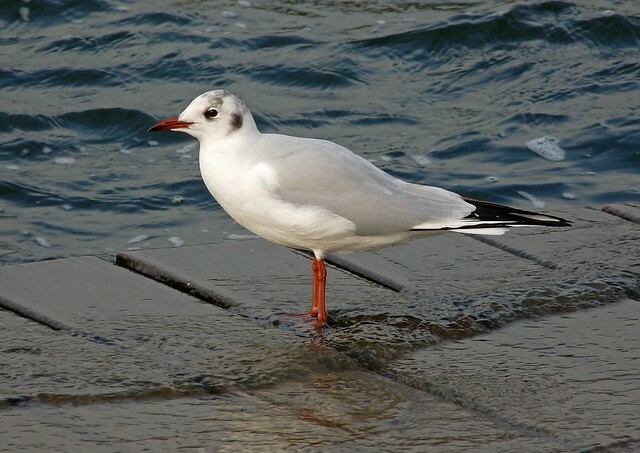 It has a very prominent orange ring on its left leg reading Y59, which marks this out as a bird ringed in Worcestershire during January of this year. 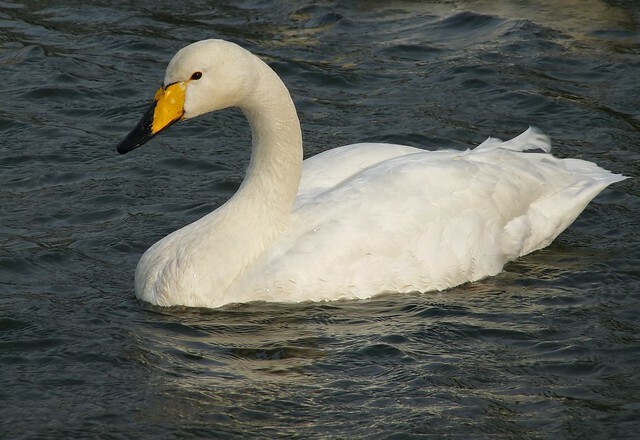 Whooper Swans are by no means a common visitor to the area and it is even more unusual to find one that is quite so approachable. 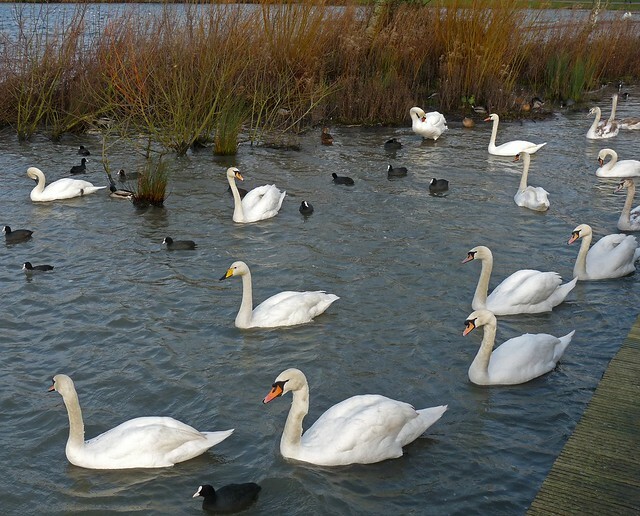 The Mute Swans on the other hand were as in your face as ever. Woe betide anyone who arrives not bearing gifts (or at least some stale bread). On the opposite side of the lake another winter visitor, this time a Greater Scaup, could be found snoozing the day away amongst a flock of Tufted Ducks. As usual with this species it was asleep and had managed to pick a patch of water that was just out of reach of my camera. It's as if they do it on purpose I swear. Water levels at the lake were the highest I have ever seen them which was causing small waves (it was quite windy) to lap over the board-walk edges in places. This Black Headed Gull didn't seem to mind though. Other birds seen during the trip included a couple of Redwing, three Bullfinch and a smattering of Pochard and Great Crested Grebes. As with Sandy Water Park last week waterfowl numbers are way down on what were they last year, no doubt due to the incredibly mild temperatures. Today for instance the car was reading 11 celcius which hardly seems fitting for the last day of the year. Speaking of which I had intended to do an end of year post but I decided against it as I just couldn't choose what to include. 2011 has found us in some fantastic locations with wildlife to match, all of which is available here for those who wish to read back through it. For me this year has been one of learning, both in terms of increasing my birding knowledge but also in branching out into new areas including Butterflies, Moths and insects. With those latter categories in particular I have barely touched the tip of the iceberg and will be concentrating on them more fully during the next twelve months. I'd like to take this opportunity to thank all of you who have stopped by this year to read my blog, leave a comment and encourage me along. It really has been a pleasure and I have enjoyed every minute of it. Barring the end of the world I shall be doing the same throughout 2012 and look forward to sharing more of my experiences from the great outdoors with you all. Happy new year! Great post as always Adam. That certainly looks a very friendly Whooper. Lovely shots of him. All the very best to you and your family for 2012. 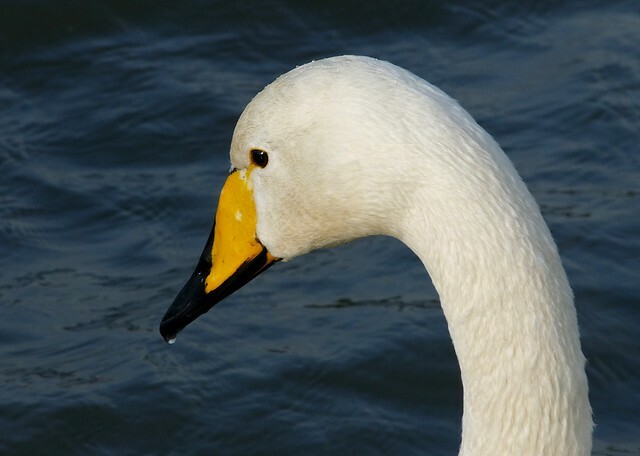 The Whooper Swan is a beautiful phenomenally, nice one to capture. Have a beautiful new year in 2012. I wish you all the best for 2012..
Hope the sun shines on you in 2012! 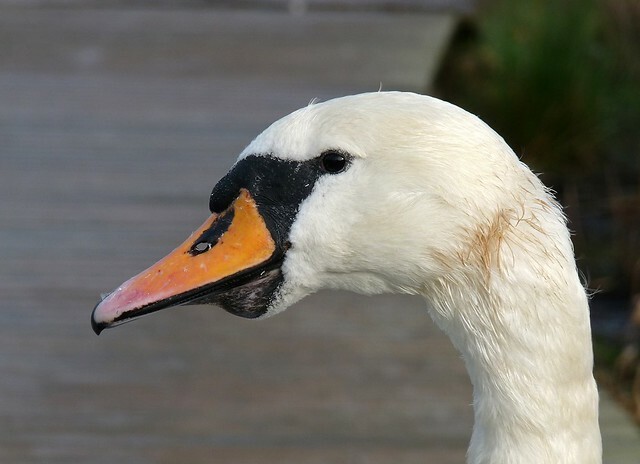 all of the swans are beautiful! i've enjoyed 'meeting' you this year and look forward to many more posts from you, adam! weather permitting, of course! Great shots and Happy New Year from Boom & I at the Vermilon River. A great series of photos and I like the close-up photos of both kinds of swans - neither of which I am likely to see around here. Happy New Year to you and I hope that it's a good one for you! Hi there - seems a good (if rather mild!) way to end the year. Hope you have a good New Year - and that 2012 brings good things. Keith - thanks, and to you. Andrew - cheers. Happy new year. Sondra - it made my day. Happy new year. TexWisGirl - I've enjoyed 'meeting' you as well and promise more of the same this year. Gary - happy new year. Mick - thank you and a happy new year. Stewart - mild is putting it mildly. Happy new year.